Disconnect the windshield washer nozzle hose. 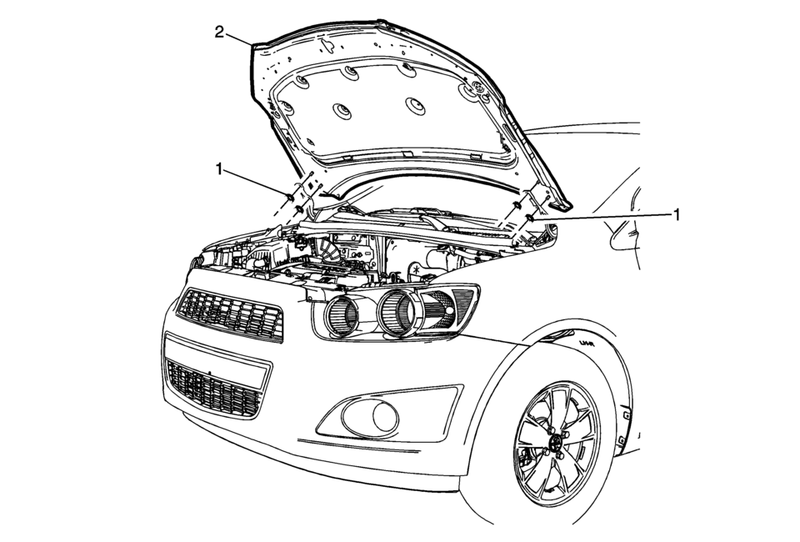 Mark the location of the hinge to the hood with a grease pencil to aid in alignment. Adjust the hood if needed. Refer to Hood Adjustment.